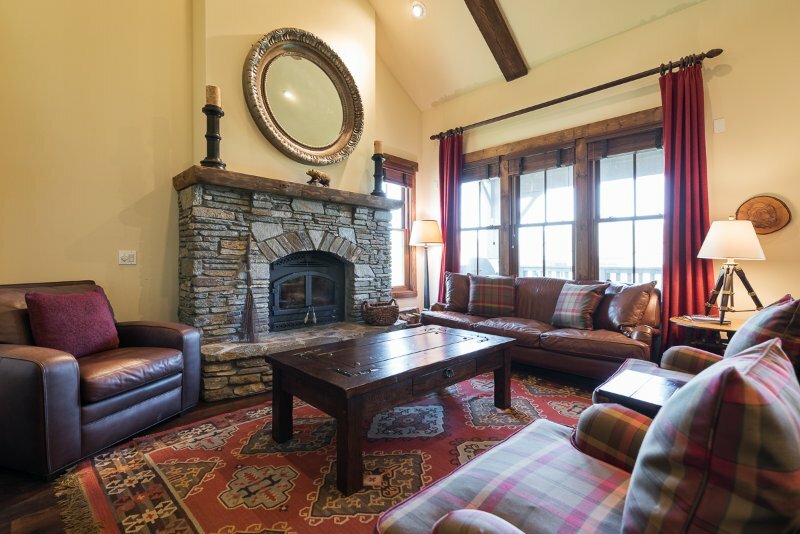 The Lodges on the Snowcreek golf course offer guests luxury, spacious floor plans, and incredible views. You will love this gorgeous 3 bedroom plus loft townhome that feels like a private residence. 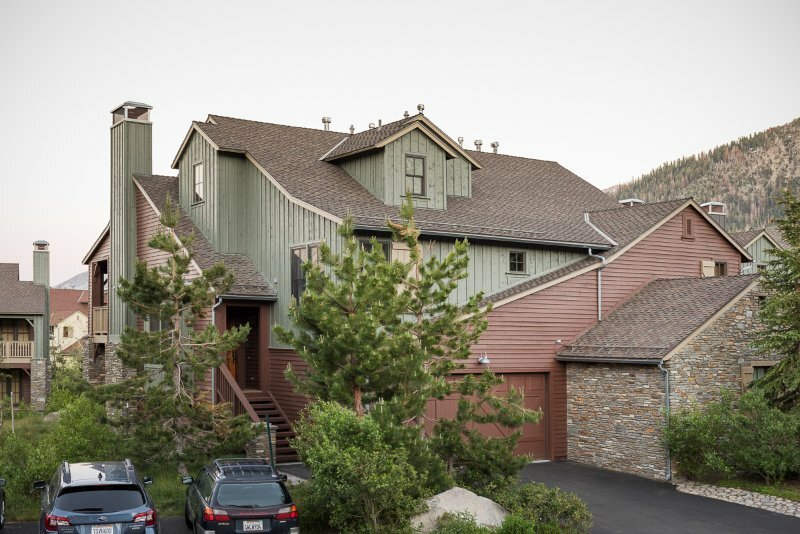 Offering almost 2,400 square feet of living space, with vaulted ceilings, wide staircases, and your own private 2-car garage, this Sierra vacation home is roomy enough for the whole family. Lodges 1111 features a comfortable king bed in the master suite, en suite bath, and a 48” flatscreen TV with Blu-Ray/DVD entertainment system. Downstairs, one bedroom has a nice queen bed, with en suite bath, and 32” flatscreen, while the other bedroom, which is great for the kids, has a twin with double bunk bed and a private bath. For additional sleeping, the loft provides a twin/double bunk bed, pull ...The Lodges on the Snowcreek golf course offer guests luxury, spacious floor plans, and incredible views. You will love this gorgeous 3 bedroom plus loft townhome that feels like a private residence. Offering almost 2,400 square feet of living space, with vaulted ceilings, wide staircases, and your own private 2-car garage, this Sierra vacation home is roomy enough for the whole family. Lodges 1111 features a comfortable king bed in the master suite, en suite bath, and a 48” flatscreen TV with Blu-Ray/DVD entertainment system. Downstairs, one bedroom has a nice queen bed, with en suite bath, and 32” flatscreen, while the other bedroom, which is great for the kids, has a twin with double bunk bed and a private bath. For additional sleeping, the loft provides a twin/double bunk bed, pull out sofa, private bath, and its own 32” flatscreen TV. 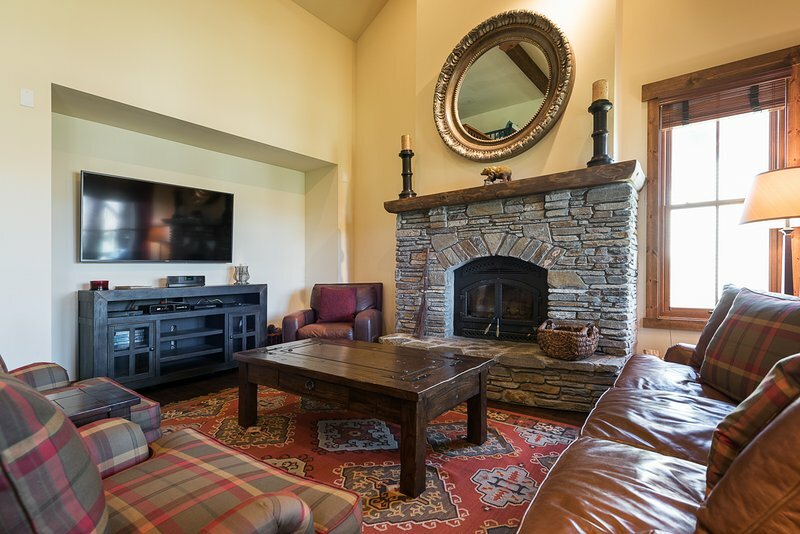 Guests can relax in a spacious open living area, which offers a 60” flat screen TV and wood burning fireplace. Amenities included are a communal hot tub just a short walk away and high-speed internet.